Cast: Lisa Arrindell Anderson (Pamela), Omari Hardwick (Earl James), David Banner (Charles), Jahnee Wallace (Kara). Story: This moving family drama chronicles the parallel hardships of Pamela Cleveland (Lisa Arrindell Anderson), a mother of four whose husband, Charles (David Banner), has been killed in action while serving in Afghanistan, and Earl James (Omari Hardwick), a fresh divorcee. While Pamela combats immeasurable grief and a flood of concerns as a new widow, Earl combats anxiety and struggles to maintain custody of and contact with his two sons. Pamela and Earl’s lives are forever transformed when their seemingly separate paths intersect and together, they learn the realities of dating and single-parenthood, the importance of family and the true meaning of Christmas. Source(s): Shadow and Act; Moviefone. Photo Source: TV One. Cast: Amber Riley (Jackie Turner), Matreya Fedor (Ava), Jarod Joseph (Trevor), Priscilla Faia (Kate), Camille Sullivan (Sharon), Ali Skovbye (Chloe). Story: My One Christmas Wish is based on the true story of Jackie Turner, a woman growing up in the foster care system who so desperately wanted a family for Christmas that she advertised on Craigslist… and people answered! Source: UpTV; IMDB. Preview My One Christmas Wish at UpTV.com. Cast: Malinda Williams (Marci), Victoria Rowell (Stephanie), Karon Riley (Blair), Clifton Powell (Gavin), Gregory Alan Williams (Donald), Kristoff St. John (Lawrence), Jasmine Burke (Wilhelmina), Chrystale Wilson (Elizabeth), Deetta West (Myra). Story: Third installment of UP’s popular Chandler family Christmas movies. This Christmas, the Chandler family, much to Stephanie’s (Victoria Rowell) dismay, seem to be distracted from the usual family holiday traditions. Marci (Malinda Williams) and Blair (Karon Riley), who tied the knot in last year’s Marry US For Christmas, are eagerly awaiting the birth of their first child due on Christmas day. The couple is doing everything in their power to ensure that they have the perfect baby girl – from meditation to changing their eating habits. Work-wise, Marci is trying to juggle impending motherhood with meeting the demands of her top client, Friendly Family Floral. Blair is back to running his own firm. Money is tight but he and Marci are happy and eagerly awaiting the arrival of their little bundle of joy. Meanwhile, Marci’s Aunt Myra (DeEtta West) and Uncle Donald (Greg Alan Williams), who recently retired, are feeling useless. Eventually they find a meaningful way to occupy their time at the urging of Donald’s cousin, Gavin Brooks (Clifton Powell). Aunt Elizabeth (Chrystale Wilson) is obsessed with getting a promotion at work. 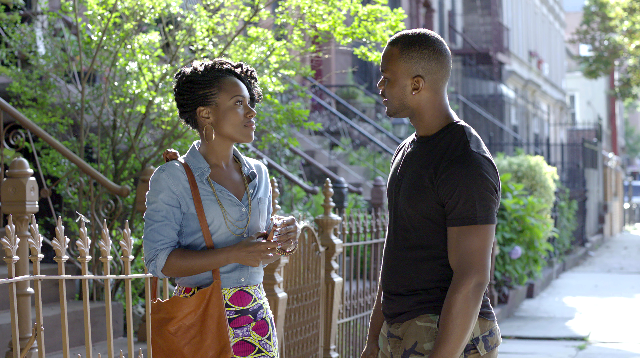 Add to the mix, Stephanie’s blooming romance with Lawrence (Kristoff St. John) – who is torn between being with her or continuing his mission work. It appears the Chandler’s have abandoned their Christmas traditions and lost the spirit of Christmas. That is, until a group of kids at an orphanage helps the family to realize there is more to Christmas than wrapping gifts and baking cookies. Source(s): UPtv; IMDB. Preview A Baby For Christmas at UPtv. Cast: Charles Brice (Ray Livingston), DeWanda Wise (Rochelle Marseilles), William Jackson Harper (Jake Brown), Alexander C. Mulzac (Paul Kettering), Tonye Patano (Miss Lady), Carra Patterson (Grace). Story: A controversial blogger in New York finds himself in hot water when he messes with the wrong woman. Source(s): IMDB, Shadow and Act. Cast: Jacob Latimore (Bo), Dulé Hill (Angelo), Seychelle Gabriel (Holly), Storm Reid (Tina), Sasheer Zamata (Georgi), Cameron Esposito (Luna). Story: A young street magician (Jacob Latimore) is left to care for his little sister after their parents’ passing and turns to illegal activities to keep a roof over their heads. When he gets in too deep, his sister is kidnapped and he is forced to use his magic and brilliant mind to save her. Source: MPRM Communications. Update: On 1/29/16, Shadow and Act reported that WWE Studios and Blumhouse Productions announced that they have acquired all worldwide rights to the Sundance Film Festival 2016 selection, Sleight, directed by JD Dillard. The dramatic thriller is directed by JD Dillard and blends science fiction and street magic in a tale set in Los Angeles. 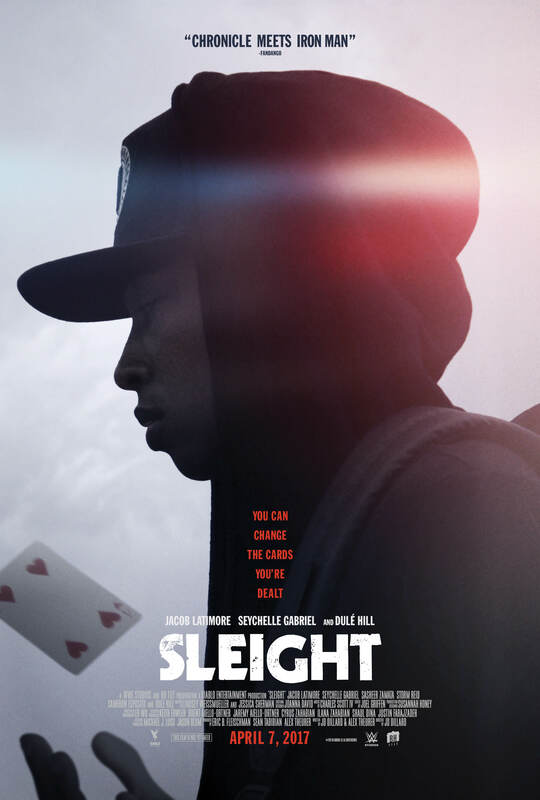 Dillard wrote Sleight with Alex Theurer, and it stars Jacob Latimore, Dulé Hill and Seychelle Gabriel. Eric B.Fleischman produced with Sean Tabibian and Alex Theurer. Blumhouse’s BH Tilt, run by John Hegeman, will oversee the release and marketing and WWE Studios prexy Michael Luisi plans to use the brand’s might to create awareness on Monday Night Raw, Smackdown and its various social media outlets to try to give it a bit of a zeitgeist vibe. CAA sold it. Source(s): Shadow and Act; Deadline. Cast: Parker Sawyers (Barack Obama), Tika Sumpter (Michelle Robinson). Details: Set in 1989, Southside With You stars Tika Sumpter (playing Michelle Robinson, as she was known before her marriage) and Parker Sawyers as Obama. The narrative takes place over the course of a single day, when the pair had an hours-long date that included a picnic and a screening of “Do the Right Thing.” They initially met at the Chicago law firm Sidley Austin, where Michelle worked and was assigned as a mentor to Barack, who was a Harvard law student at the time. Source(s): The Chicago Tribune. Photo Source: The Wrap.